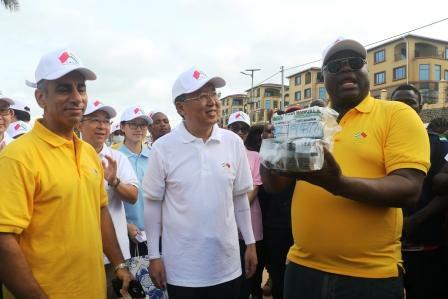 The Chinese Ambassador to Sierra Leone, His Excellence Ambassador WU Peng and the Egyptian Ambassador to Sierra Leone, His Excellence Ambassador Maher Elmhdy and a host of the Chinese community in Sierra Leone have joined the National Tourist Board to clean the Lumley beach on the first National Cleaning Saturday. The cleaning operation which was code name “Beautify Lumley” Program attracted highly motivated local people within the Lumley Beach area, who join force in cleaning the entire vicinity of the beach. The two ambassador jointly donated fifteen million Leones (Le 15,000,000) to the National Tourist Board to further support the beautification of the Lumley Beach. 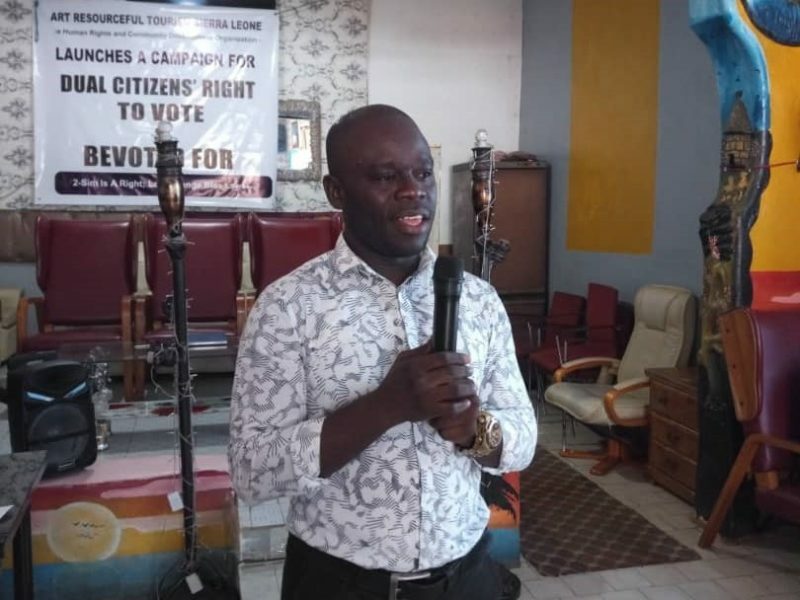 In his statement at the cleaning event, Ambassador WU Peng said that, the ‘Beautify Lumley’ project was mainly focus on President Bio’s recently re-instituted compulsory National Cleaning Saturday, which he noted would enhance the sanitation and beautification of the communities around Freetown and through the country. He went on to say that Lumley beach was one of the adorable beaches in the country in term of its natural makeup and recreational facilities like bars, hotels, which when coupled with other beaches across the country would serve as a huge economic and investment potential that would attract tourist to the country. While speaking on the China-Sierra Leone relations, Ambassador WU Peng said that the two countries have enjoyed “traditional friendship” and fruitful outcomes of cooperation in various areas over the past decades and that the Chinese community in Sierra Leone would always do their best to fulfil the social corporate responsibility of their various companies. 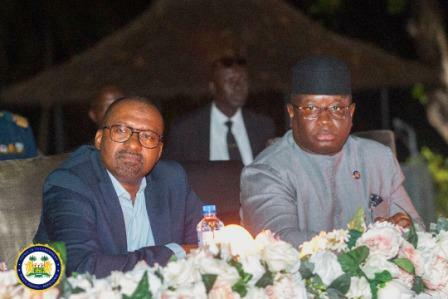 He pointed out that China-Sierra Leone relationship remains unpromising and that China would always continue to support and implement projects that were in the best interest of every Sierra Leoneans thereby creating a win-win situation for the two nations. The Egyptian Ambassador also reiterated the Friendly tie between Sierra Leone and his country and pointed out that China was a great friend of Africa. “It is a beautiful day today and we are glad to be here, The Chinese Ambassador and I, we think we belong to Sierra Leone, that is why we are here, we a proud to be part of the campaign to clean Lumley Beach, we want it always clean and attractive so let make it a great day” Ambassador Maher Elmhdy said at the cleaning event. On his side, the General Manager of the National Tourist Board, Mr. Yassin Kargbo said that they were very happy to have two representatives of great nations of China and Egypt in tourism in joining them to clean the Lumley beach area and that two Ambassador have shown great interest in tourism in the industry and that they always wanted to see the beach clean and free of crimes. 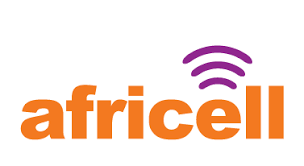 He emphasized that they were ready to work both embassies and the Chinese and Egyptians enterprises across the country noting that the donated money would be used to buy more tools and support other activities of the National Tourist Board. 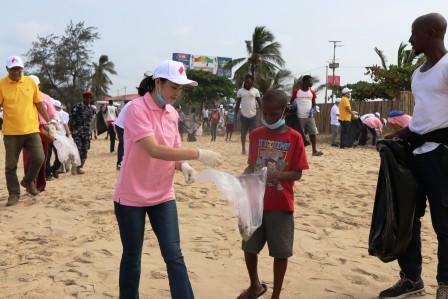 The two Ambassadors were visible seen among jubilant community people and the representatives of the various Chinese companies collecting trash on the Lumley Beach area, and some of the local people said that they were very appreciative of the effort of the two Ambassadors in cleaning their environment.